We have all heard the phrase “Cash is King,” it’s a mantra that successful businesses follow and the most important rule for early start-ups. The challenge is knowing when to be as frugal as possible and when to spend/invest so that your business will grow. Investing is always a bit of a gamble and while it’s impossible to be absolutely certain, you need to be sure about the expense you are about to invest in. Absolute certainty can never be achieved because you will never fully know if the investment was the right decision until months, or possibly years, later when you can truly evaluate the result of the spending. The Key to Success? Budgeting! So how do businesses go about ensuring that they are carefully spending their cash? Through budgeting! Just like in personal finance, creating a budget is a critical component to evaluating where cash can, and should, be spent. It will also indicate when you may need additional funding in order to execute your business plan. All department heads should be involved in the budgeting process and negotiations will happen as cash is one of the most limiting resources of any company. The management team will have to decide what expenses are on the critical path for the business and invest in those places. Payroll is always at the top of the list for any company to meet with cash demands. This is followed closely by rents and utilities to keep the operations going. Next in line is purchase of the items that you need in order to sell your product or service. Items such as travel, entertainment and marketing will fall further down the list if there are constraints on the company’s available funds. During times of limited cash, management will have to decide which areas are the most important and have a plan in place to fund those core components. 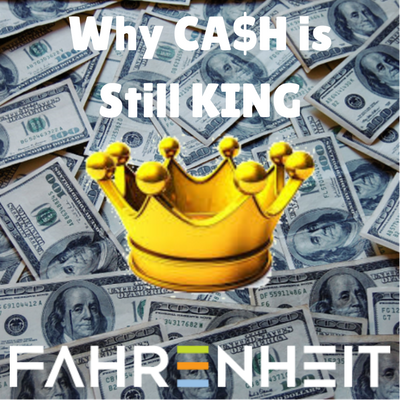 All Companies, no matter their size, need to remind themselves that Cash Is King and they must use it wisely to avoid having to take on debt or give away additional equity. Even companies that find themselves fortunate enough to be flush with cash must be careful not spend in areas that do not provide a return to the business. At its core, all business spending must provide a return in some way to the company. Even activities, such as a Company holiday party, that do not appear to directly provide a return to the business, do have a purpose in increasing employee morale and hopefully leading to increased employee productivity. It’s up to the leaders of the company to decide where they believe the dollars will have the most impact and invest. If your company is struggling to create a budget that works or with cash forecasting, The Fahrenheit Group has dedicated, highly-skilled consultants that can help! Please contact us at sales@fahrenheitadvisors.com or (804) 955-4440. Director Mike Duncan is an experienced CFO, controller, and Senior Consultant that brings nearly 18 years of expertise as an Accounting and Financial Executive to our clients. With a broad range of experience in accounting, auditing, processing and controls, and finance across several industries, Mike helps companies assess and improve their finance and accounting functions, focusing on people, processes, and systems.